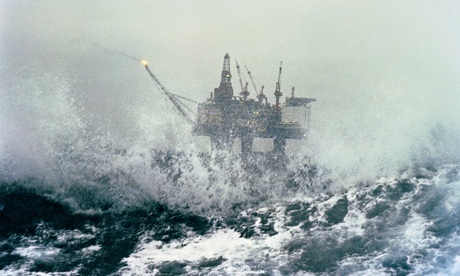 The Guardian has an article on Jeremy Leggett's new book "The Energy of Nations: Risk Blindness and the Road to Renaissance" - Ex govt adviser: "global market shock" from "oil crash" could hit in 2015. In a new book, former oil geologist and government adviser on renewable energy, Dr. Jeremy Leggett, identifies five "global systemic risks directly connected to energy" which, he says, together "threaten capital markets and hence the global economy" in a way that could trigger a global crash sometime between 2015 and 2020. According to Leggett, a wide range of experts and insiders "from diverse sectors spanning academia, industry, the military and the oil industry itself, including until recently the International Energy Agency or, at least, key individuals or factions therein" are expecting an oil crunch "within a few years," most likely "within a window from 2015 to 2020." "A market shock involving any one these would be capable of triggering a tsunami of economic and social problems, and, of course, there is no law of economics that says only one can hit at one time." At the heart of these risks, Leggett argues, is our dependence on increasingly expensive fossil fuel resources. His wide-ranging analysis pinpoints the possibility of a global oil supply crunch as early as 2015. "Growing numbers of people in and around the oil industry", he says, privately consider such a forecast to be plausible. "If we are correct, and nothing is done to soften the landing, the twenty-first century is almost certainly heading for an early depression." Greentech Media has an article on the impact renewable energy is having on utilities that haven't prepared for it - This Is What the Utility Death Spiral Looks Like. According to 2013 financial results, the utility lost more than $3.8 billion last year as it cycled down unprofitable fossil fuel plants due to sliding wholesale prices. The yearly loss is actually quite historic; it's RWE's first since 1949 when the German Republic was formed. This follows poor earnings news from Vattenfall, a Swedish utility with the second-biggest generation portfolio in Germany, which saw $2.3 billion in losses in 2013 due to this same "fundamental structural change” in the electricity market. The problem is well documented: high penetrations of renewables with legal priority over fossil fuels are driving down wholesale market prices -- sometimes causing them to go negative -- and quickly eroding the value of coal and natural gas plants. At the same time, Germany's energy consumption continues to fall while renewable energy development rises. RWE's CEO Peter Terium called it "the worst structural crisis in the history of energy supply." To make matters worse for utilities, their commercial and industrial customers are increasingly trying to separate themselves from the grid to avoid government fees levied to pay for renewable energy expansion. According to the Wall Street Journal, 16 percent of German companies are now energy self-sufficient -- a 50 percent increase from just a year ago. Another 23 percent of businesses say they plan to become energy self-sufficient in the near future. It's a real-world example of the "death spiral" that the industry has so far only considered in theory: as grid maintenance costs go up and the capital cost of renewable energy moves down, more customers will be encouraged to leave the grid. In turn, that pushes grid costs even higher for the remainder of customers, who then have even more incentive to become self-sufficient. Meanwhile, utilities are stuck with a growing pile of stranded assets. When unveiling today's dismal earnings, RWE's Terium admitted the utility had invested too heavily in fossil fuel plants at a time when it should have been thinking about renewables: "I grant we have made mistakes. We were late entering into the renewables market -- possibly too late." RNE has an update on Redflow's flow battery technology - Redflow targets 40% cut in battery storage costs by 2015. Redflow, a Brisbane-based developer of unique zinc-bromine “flow” batteries, says it is targeting a 40 per cent cut in the capital cost of energy storage systems by the end of next year. In a market presentation released on Thursday, Redflow says it estimates the capital cost of its technology – developed originally at the University of Queensland –a t $875/kWh. This,is says, is comparable with some lithium-ion batteries, half the price of vanadium, and while expensive than some lead acid batteries, it will have greater applications. Redflow’s core product is a “flow battery” that avoids some of the charging issues and limitations that affect other battery technologies, such as lead acid and lithium-ion. The company says the daily deep charge and discharge capability makes it ideal for storage and shifting of intermittent renewable energy, and managing peak load or supporting off-grid systems. RNE has an article on a Citigroup report on renewable energy - Citigroup says the ‘Age of Renewables’ has begun. The Guardian has an article on an upcoming report from the IPCC - IPCC report: climate change felt 'on all continents and across the oceans'. 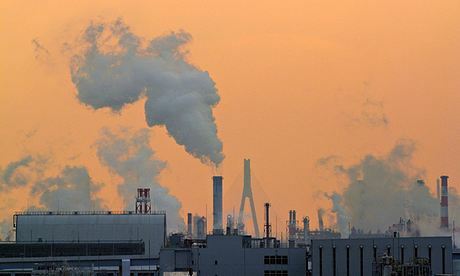 But governments have already signed off on the critical finding that climate change is already having an effect, and that even a small amount of warming in the future could lead to "abrupt and irreversible changes", according to documents seen by the Guardian. "In recent decades, changes in climate have caused impacts on natural and human systems on all continents and across the oceans," the final report from the Intergovernmental Panel on Climate Change will say. The Jakarta Globe has an article on the steady expansion of geothermal power in Indonesia - Three Geothermal Plants With 62 MW to Go On Line in Indonesia This Year. Three geothermal power plants with total capacity of 62 megawatts will go on line this year, as Indonesia seeks to tap more of the renewable energy source amid rising fuel costs. Indonesia, which has the largest geothermal resource in the world, has been tapping only 1.4 percent of its potential due to high costs of development and restrictive regulation that bars geothermal exploration in protected forests. Rising energy prices in the past decade have made geothermal more competitive in pricing to conventional energy sources such as diesel and coal. CleanTechnica has an article on some battery research at Virginia Tech - Sugar Battery With Unmatched Energy Density Created. A new “sugar battery” possessing an “unmatched” energy density has been created by a research team from Virginia Tech. The researchers think that their new battery — which, it bears repeating, runs on sugar — could potentially replace conventional forms of battery technology within only the next couple of years. 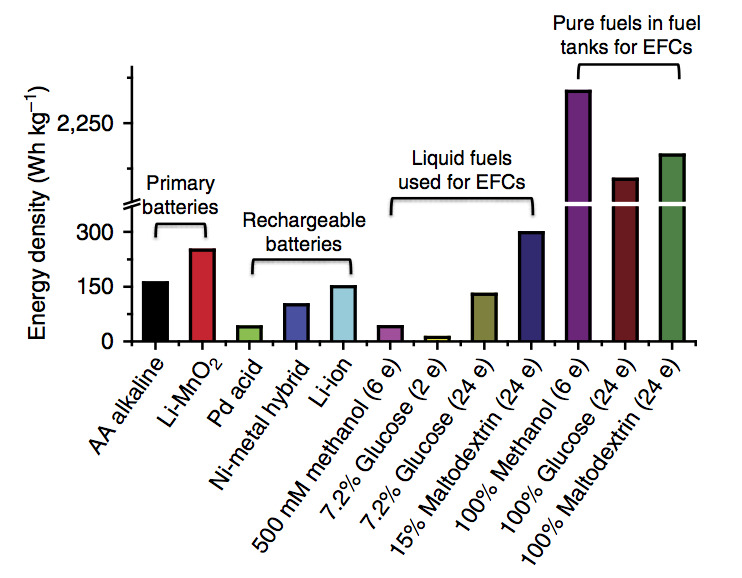 The researchers argue that their sugar batteries’ relative affordability, ability to be refilled, and biodegradability, are significant advantages as compared to current battery technologies, and should give it the edge in competition. They are currently aiming for the technology to hit the market sometime within the next few years. Trehugger has a post on an airborne wind turbine idea being trialled in Alaska, with the device being filled with helium to raise it into the atmosphere - Record-breaking inflatable wind turbine to float 1000 feet above Alaska. While ground-based wind turbines remain a practical system for generating clean electricity, the future of low cost wind power for remote areas might be found in high altitude wind turbines (HAWTs), which are deployed high above the Earth, where they can take advantage of stronger and more consistent winds. We previously covered the prototype of Altaeros Energies inflatable Airborne Wind Turbine, which was claimed to be able to produce double the power at half the cost of wind turbines mounted at conventional tower heights, but the company has just announced their plans to deploy the next generation of the device at a height of 1000 feet off the ground. 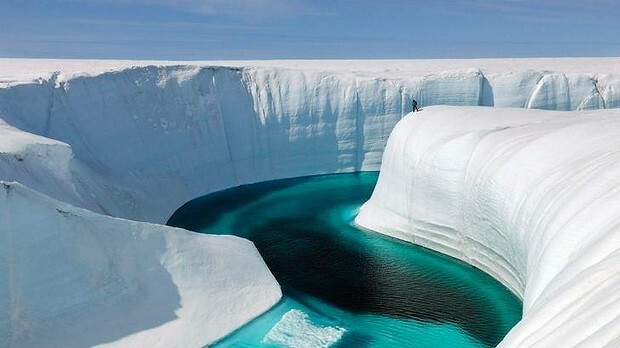 The SMH has a look at monitoring of the melting of Greenland's glaciers - Global warming melts edge of Greenland icesheet. The last edge of the Greenland ice sheet that had resisted global warming has now become unstable, adding billions of tonnes of meltwater to rising seas, scientists say. In a study published in the journal Nature Climate Change, they say a surge in temperature from 2003 has eased the brakes on a long "river" of ice that flows to the coast in northeastern Greenland. Known as an ice stream, the "river" takes ice from a vast basin and slowly shifts it to the sea - in the same way the Amazon River drains water. In the past, the flow from this ice stream was constrained by massive buildups of ice debris choking its mouth. But a three-year spell of exceptionally high temperatures removed this blockage - and like a cork removed from a bottle helped accelerate the flow, the study said. IEEE Spectrum has an article on some new ocean energy technologies - Two New Ideas in Wave and Tidal Power. The wave power idea is closer than the tidal energy one to rollout, with a planned open-water test for this summer. 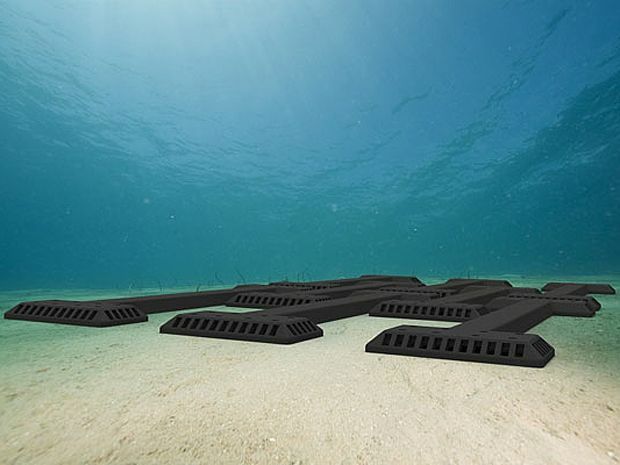 M3 Wave dispenses with all the problems that come with buoys or other above-and-below-the-surface designs by mooring a simple device to the ocean floor. The device, pictured above, involves two air chambers: as a wave passes over the top of the first chamber, the pressure inside increases, forcing air through a passageway to the second chamber. Inside the passageway is a turbine, so the passing air is actually what generates the electricity. As the wave continues on, it raises the pressure inside the second chamber, pushing the air back through the turbine—importantly, it is a bidirectional turbine—and back into the first chamber. Another wave, another cycle. Repeat. The primary selling point here is its simple and small footprint. There is no impact on ocean view, on shipping or fishing traffic, and rough seas above won't endanger the system in any way. M3 is selling it as "expeditionary" wave power, meaning it might be brought along on a ship and deployed for things like disaster relief; the company suggests such a deployment could produce 150 to 500 kilowatts. The system will undergo open-water testing at a U.S. National Guard facility, Camp Rilea in Oregon, in August. On the other side of the country, a group at Brown University has developed what they call an oscillating hydrofoil, intended to minimize some of the impacts of tidal power devices and increase efficiency. The hydrofoil is mounted on to the sea floor—it resembles a car's spoiler attached to a pole, essentially. As the water flows past that spoiler it oscillates, generating electricity. It is designed so that the pole can actually fold down and out of the way if necessary, allowing for ships or even wildlife (detected with sensors on the device) to pass by without incident. The team received US $750 000 in funding from ARPA-E in 2012, and will soon move to a phase II involving a medium-scale, 10-kw prototype. They have calculated that the device can achieve much better energy conversion efficiencies in tides flowing very slowly than any of the devices that are on or close to market. Reuters has an article on lower oil production by the oil majors and higher price forecasts (isn't there supposed to be a oil production boom going on in North America ?) - Chevron cuts production outlook, raises oil price view. Chevron Corp, the second-largest U.S. oil company, cut its 2017 production forecast on Tuesday by 6 percent, citing project delays and asset sales, while saying high prices have pushed its new baseline for oil to north of $100 a barrel. The company, like many of its peers, has seen mixed results from heavy spending to lift oil and natural gas production, and shareholders in the sector are pushing for more cost discipline. Despite the more cautious production forecast, Chevron raised the oil price used in its planning models to $110 a barrel from $79. Exxon Mobil, the largest U.S. oil company, is using a similar level of $109 a barrel in its budgets, based on 2013 average prices. RNE has a look at the fading competitiveness of gas compared to solar power - Solar costs to halve as gas prices surge. Beyond the near-term revenue forecasts that obsess market analysts, one of the big take-outs of First Solar’s annual market day in New York this week was its predictions about the cost of solar modules over the next five years. In short, First Solar expects its average manufacturing cost to nearly halve – from an average $US0.63/watt in 2013, to $US0.35/W in 2018. That will bring the total installed cost of a module (including racking and inverters) from around $1.59/W to below $1/W by 2017 – so meeting the US Department of Energy’s ambitious Sunshot Initiative goals at least three years ahead of time. The future of large-scale solar was in balance just a year ago, mostly because many of the initial big projects had been funded by California’s ambitious renewable energy target, and a strong solar mandate. But First Solar now sees this large-scale market rebounding, mostly because interest is turning to solar because of those rising gas prices. Power purchase agreements, according to Deutsche Bank analysts, are in the range of $US50-$US70/MWh (helped by a tax credit because the LCOE of most utility scale solar is still probably above $100/MWh. Greentech media has an update on Ambri's liquid metal battery - Update on Ambri’s Liquid Metal Grid-Scale Battery. Ed’s comments were a call to arms for the tech community to protect its users from indiscriminate mass surveillance by the NSA and the insecurity it creates. Despite the talk from Washington DC regarding cybersecurity threats – and you’ll hear more of it today during a confirmation hearing for the would-be next head of the NSA – it is now clear that the NSA’s mass surveillance efforts are not meant for good. Whether it’s systematically undermining global encryption standards, hacking communications companies’ servers and data links or exploiting so-called zero-day vulnerabilities, the nation’s cyberspies are focused on attacking online privacy and weakening the security of systems that we all trust. Forget all the government rhetoric on cybersecurity: the NSA simply isn’t here to make the Internet more secure. But that doesn’t mean the agency has to win. The global tech community can fight back, if developers ramp up efforts to build privacy and security into their products. By zeroing in on practical steps Ed and I discussed in our conversation here, we can build a more open, free and secure Internet. Unfortunately, for far too long, security has been an afterthought. Even for a lot of my fellow geeks here at SXSW. Julian Assange also made a virtual appearanc at SXSW - Julian Assange tells SXSW audience: ‘NSA has grown to be a rogue agency’. Snowden also recently appeared (via telepresence robot) at TED - Edward Snowden: Here's how we take back the Internet. Climate Progrss has a post on a new technique for creating geothermal power in Iceland - In Iceland, Magma Used To Create Geothermal Power For First Time. After accidentally drilling into a chamber of molten lava more than a mile underground in 2009, researchers in Iceland have now found a way to use the magma to create geothermal energy. This new method of producing geothermal energy could be especially valuable in Iceland, where geothermal power already makes up about two-thirds of the energy use and around 90 percent of homes are heated using geothermal. Researchers from the Iceland Deep Drilling Project (IDDP) used the magma to generate high-pressure steam at temperatures over 450 degrees Celsius, beating the world record for hottest geothermal heat. According to the measured output, the magma generated about 36 megawatts of electricity. Normal geothermal energy is generated by pumping water into heated ground, boiling it and then using the steam to generate electricity. This experiment in Iceland is the first time molten magma instead of solid rock has been used to create the steam. “This could lead to a revolution in the energy efficiency of high-temperature geothermal projects in the future,” Wilfred Elders, professor emeritus of geology at the University of California, Riverside, who’s written about the Icelandic innovation, told The Conversation. 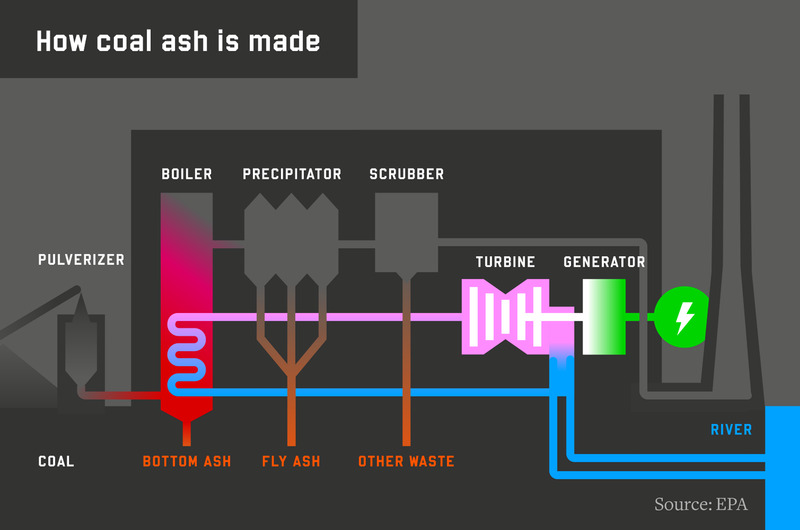 Medium has a look at the problem of coal ash - When the rivers run black. The TVA is the largest public power provider in the country, serving nine million people across seven states. The Age has an article on an interesting crowd funded invention for recording badly behaved motorists from the rear of a bike - A combination of safety light and camera, the Fly6 watches the backs of cyclists. A slingshot projectile in the bum, followed by frustration about the idiocy of some road users, inspired two Australian entrepreneurs to invent a device that will watch the backs of vulnerable cyclists on the road. Called the Fly6, it is a combination video camera and flashing rear light that promises to make riders more visible while recording what happens behind them. It is fitted to the bike's seat post. The inspiration was at first to make "people who do stupid things like that" more accountable, but they soon felt it could have a preventive effect. "If motorists just thought there was a camera potentially on a bike, they would take it easy and we’d have a much better time on the road," says Hagen. The Fly6 has a camera lens in the centre of the flashing bulb cluster on what looks like a standard cycling safety light. It records at 720 x 1280 definition, with a 130-degree field of view, while capturing 30 frames per second. The device is waterproof and also records audio. Recharged by USB, its lithium-ion battery runs for more than five hours. It comes with an 8GB class-10 microSD card, which holds some two hours of footage. The camera automatically overwrites old files on a loop, so riders don't need to delete old video. In an accident, a switch inside the unit shuts the camera down if it lies at an angle of 40 degrees for more than four seconds – which prevents the crash data from being overwritten. For the weight-conscious sports cyclist, it tips the scales at just over 100 grams. In recent years, cyclists – and motorists – have been using video cameras to record their road movements, to use for legal or insurance purposes in the case of an accident. Attempts to determine responsibility often boil down to the driver’s word against the cyclist – if the cyclist wasn’t killed. 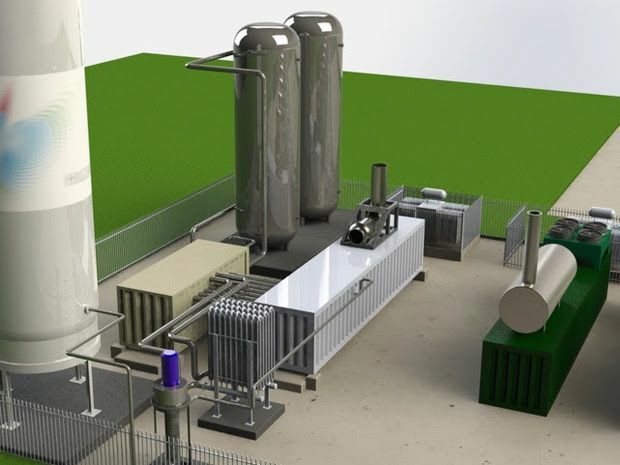 IEEE Spectrum has an article on a variant of compressd air energy storage being trialled in the UK - Liquefied Air to Store Energy on U.K. Grid. Liquid air energy storage is similar to compressed air energy storage in that air is compressed and released to store and then generate power. 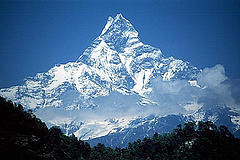 With Highview’s technology, though, ambient air is compressed, then cooled and liquified. That liquefied air, which is almost -200 °C, is stored in large tanks. One of the advantages of liquid air storage is that it uses off-the-shelf equipment. The tanks for storing liquid air, for instance, are the same as those used in the industrial gas industry. Forbes has an amusing article on opposition to fracking from Exxon CEO Rex Tillerson - Exxon CEO Profits Huge As America's Largest Natural Gas Producer-But Frack In His Own Backyard And He Sues!. Sometimes, the hypocrisy expressed in real life is so sublimely rich that one could never hope to construct a similar scenario out of pure imagination. Meet Rex Tillerson, the CEO of oil and gas superstar ExxonMobil Corporation—the largest natural gas producer in these United States of America—and a newly emerging giant in the world of exquisite hypocrisy. A key and critical function of Mr. Tillerson’s day job is to do all he can to protect and nurture the process of hydraulic fracturing—aka ‘fracking’—so that his company can continue to rack in billions via the production and sale of natural gas. Indeed, so committed is Rex to the process of fracking that he has loudly lashed out at those who criticize and seek to regulate hydraulic fracturing, suggesting that such efforts are a very bad idea, indeed. Thus, according to Rex Tillerson, nobody should have much of a reason to be disturbed or concerned when ExxonMobil comes knocking on your door to deliver the news that fracking is about to become a part of your daily life…unless, or course, you happen to live in Mr. Tillerson’s neighborhood. In that case, the rules are, apparently, very, very different. You see, while Tillerson believes that the inevitable noise pollution that accompanies the fracking process—not to mention the potential for water contamination and other dangerous side-effects even when it is done safely (and some would strenuously argue that it is not possible to frack safely)— is of no real significance when it affects someone else’s neighborhood, he surely thinks it to be a pretty big deal when someone dares to get involved in fracking in Rex Tillerson’s neighborhood. So much is this the case that Tillerson—ExxonMobil CEO and proud proponent of fracking as a key to both America’s and his company’s great energy future—has joined a lawsuit seeking to shut down a fracking project near Mr. and Mrs. Tillerson’s Texas ranch. RNE has an article on a recent study commissioned by the NRMA into Australia's liquid fuel security - Running on empty: Australia’s dependence on imported fossil fuels. Australia’s dependence on traditional and imported liquid fuel sources and transport technologies is putting our national security – and very way of life – at risk, a new study has found. Yet Australia continues to ignore alternative fuel strategies, that could include more renewable energy and electric vehicles. An NRMA-commissioned report on the nation’s liquid fuel security, released on Monday, warns that Australia’s severely declining oil refining industry, and increasing demand for liquid fuels, could result in a scenario in 2030 where it has less than 20 days worth of fuel in reserve, and 100 per cent imported liquid fuel dependency. The report, written by retired Air Vice-Marshal John Blackburn, finds that Australia’s dependence on imported liquid fuel and oil for transport has grown from around 60 per cent in 2000 to 90 per cent today, with no plan or public government policy to stop this blowing out to 100 per cent. RNE has a look at some impressive capacity factors for wind power in southern Australia - AGL Energy wind farms running at near 50% capacity. Greentech Media has an article on Tesla's massive "giga factory" for producing batteries - Tesla Giga Factory: $4B to $5B Price Tag, With Battery Production Slated for 2017. More at GigaOm - Tesla confirms huge battery factory plan, will ship 35K Model S cars this year. * The company just announced a $1.6 billion convertible debt offering. Tesla looks to offer $800 million of convertible senior notes due in 2019 and $800 million due in 2021 to build the world's largest battery factory. * Musk predicts that the new factory will produce batteries for 500,000 vehicles by 2020. * Tesla expects to send the kilowatt-hour price of batteries down by 30 percent. The Tesla CEO envisions "a plant that is heavily powered by renewables, wind and solar, and that has built into it the recycling capability for old battery packs." “It is going to be a really giant facility. [...] We are doing that something that’s comparable to all lithium-ion production in the world in one factory," said Musk in a previous earnings call. Bloomberg also has an older article on Tesla's sister company Solar City which looks like being a big customer for batteries from the Gigafactory - Tesla's Industrial-Grade Solar Power Storage System. It’s weird to see the big, red Tesla Motors “T” logo hanging from the side of a house or a building. But it’s the real deal. The company’s march from the automobile to the home, office, and factory has begun. This week, SolarCity, which sells and installs solar panels for residential and commercial customers, began offering an industrial-grade power storage unit produced by Tesla. The system mounts on a wall and looks something like a white mini-fridge with Tesla’s distinctive logo in the upper left corner. It contains hundreds of the same lithium-ion batteries that Tesla’s Model S sedan needs to run and, in fact, has about one-eighth of the juice found in Tesla’s top-of-the-line battery pack. “If you go to the end of the manufacturing line at the Tesla factory where they put the battery pack on, you will see these storage systems being assembled,” says Pete Rive, the co-founder and chief technology officer at Tesla. The purpose of the storage system is twofold. It lets solar customers shift off the grid during times when energy companies charge their highest rates, and it provides a backup system during power outages. SolarCity has been offering these systems to consumers on a limited basis—a few hundred customers so far—and, as of this week, began selling it to commercial customers as well. Customers do not have to pay upfront for the hardware but will need, instead, to commit to a 10-year service agreement with monthly payments. The battery pack would cost about $15,000 without financing. “Our long run goal is to include a storage system with every solar system we sell,” says Rive.